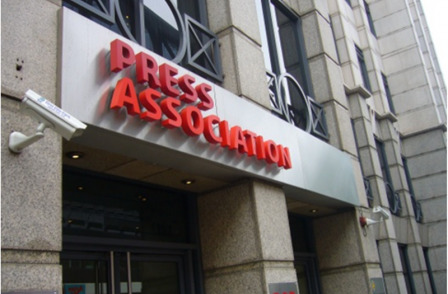 The Press Association has opened a voluntary redundancy scheme for staff based in Britain and Ireland. Details of the scheme, which will remain open until 3 January 2014, were sent to the company’s staff by email this morning. It is understood that the company is looking to find around 35 volunteers for redundancy from a staff of approximately 900, however not all the redundancies are expected to come from editorial positions. The email from PA’s managing director Tony Watson said: “The company has today opened a Voluntary Enhanced Redundancy Scheme to employees of The Press Association Ltd, The Press Association of Ireland Ltd, PA Photos Ltd. The email said the cuts were necessary so the company can continue to invest in technology allowing it to compete in future. Under the terms of the scheme, according to an example contained within the message, a 49-year-old with 10 years’ complete service earning £30,000 will receive £18,900 tax-free. People accepting the redundancy scheme will not be expected to work out their notice period and will be paid in lieu subject to tax. The redundancy scheme is capped at a maximum payout of £70,000. Employees who take the redundancy offer will not be ordinarily considered for a job within PA for at least 12 months. The National Union of Journalists today expressed concern over the planned cuts. Laura Davison, NUJ organiser, said: "The NUJ is very concerned at the proposed cuts and the impact they will have on the working conditions of journalists remaining at the organisation. People are already under pressure in terms of workload, hours and ability to take breaks. 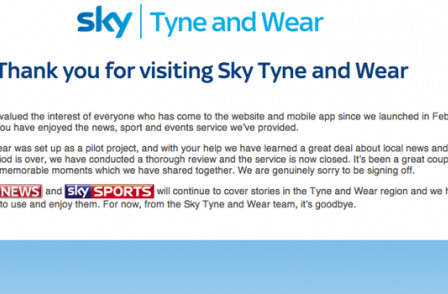 "The company says for the second consecutive year they will see very substantial reductions in the revenue from regional newspapers and that the scheme is part of an effort to reduce costs to ensure the company is able ‘to continue investing in the technologies and products that will enable them to compete in a changing media landscape’. "This should be a transparent process with full, meaningful consultation on any proposals. Listening to the journalists who actually do the jobs will be critical in reaching a sustainable way forward." The Company has today opened a Voluntary Enhanced Redundancy Scheme to employees of The Press Association Ltd, The Press Association of Ireland Ltd, PA Photos Ltd.
We believe that next year will be a particularly challenging one for the company. For the second consecutive year we will see very substantial reductions in the revenue we receive from regional newspapers and it is likely the structural change in that market will continue to impact on our business. The Scheme is part of an effort to reduce costs to ensure the company remains in a strong financial position in the future and able to continue investing in the technologies and products that will enable us to compete in a changing media landscape. The attached policy gives details of the rules and payments under this Scheme. I must stress that the Scheme is at management discretion and therefore should not be regarded as an employee right. The Scheme will remain open until 3 January, 2014, after which time any future redundancies would be made under the company’s standard terms. Should you be interested in taking up this offer and/or you would like to discuss this further, please contact your head of department or Rebecca Buck, Head of HR, at your earliest convenience. If you are not interested in this Scheme, you do not need to take any action. Employees are invited to indicate their willingness to consider voluntary redundancy. Such indications will not imply any commitment on the part of either the Company or the individual. Any employees indicating a willingness to consider voluntary redundancy will be able to discuss their position and their benefits in confidence and without prejudice with the Head of HR. Compensation for voluntary redundancy will be greater than the standard Company redundancy payments. This will be on a non-precedential basis and the enhancement applied will be based on the statutory scheme. Any offer of voluntary redundancy will be formally confirmed in writing with all the appropriate terms and conditions set out for agreement by both parties. Application of this Voluntary Redundancy Scheme is at management discretion and is not in any way to be regarded as a right of employees. In all circumstances benefit must accrue to the Company following the voluntary redundancy of an employee. This benefit will be in the nature of cost savings, improved quality of service delivery or to facilitate re-focusing of business priorities. At all times the Company reserves the right to accept or reject an application for voluntary redundancy. The Company will also have due consideration to financial affordability and value for money. This scheme will remain open for applications until 3 January, 2014 after which time any future redundancies will be in line with the standard Company redundancy scheme. Enhanced voluntary redundancy pay will comprise three times statutory redundancy pay. Statutory redundancy for UK based staff is calculated dependent on age and length of service using the attached Ready Reckoner (see Appendix 1) to calculate the number of weeks’ pay due. The definition of one week's pay is: Basic annual gross salary divided by 52 to derive "one week's pay" however, it is capped at £450 per week. Note: The first £30,000 of the enhanced redundancy payment will normally be tax free. For staff based in the Republic of Ireland, enhanced voluntary redundancy will comprise of three times the Irish Statutory redundancy scheme. Contractual notice will not be worked but will be paid as a salary in lieu of notice payment (subject to PAYE deductions). Your employment contract will specify your notice period. The total of the voluntary enhanced redundancy package (enhanced redundancy pay plus notice pay) will not exceed £70,000 or equivalent. In all cases, employees leaving employment under this Scheme will be expected as far as possible and subject to the needs of the Company to utilise accrued and unused holiday entitlement in advance of the date of termination. Employees who have left the Company under this Scheme will not normally be considered for re-employment within 1 year of their effective date of termination. In the event that the Company must consider compulsory redundancies of staff, every effort will be made to minimise compulsory loss of employment. Measures such as natural wastage, postponing or decreasing external recruitment, reducing overtime, restricting the use of temporary staff, redeployment, reorganisation of work, and offering shorter time working may be considered. The Company will engage in the identification of other potentially suitable roles within the Company through redeployment. Where the above measures have not resulted in resolving successfully the potential redundancy situation, the Company is entitled to make redundancies in line with legislation in force at the time and where applicable.